ROME (ITALY), Monday, October 22, 2018 (MERCURPRESS.COM) - A round table entitled "Opportunities and resources for safety in the workplace", promoted by FondItalia in collaboration with its Technical Assistance Body FormaSicuro - Organismo Paritetico, will be held on 25 October at 10.30 a.m., in the context of ExpoTraining in FieraMilano, in Room "Orange" 2. The programme includes institutional greetings from FondItalia President Francesco Franco and FormaSicuro President Domenico Chirico followed by the presentation of the "Dialogue in the dark" project by Franco Lisi, director of the Istituto dei Ciechi in Milan. The round table will include speeches by Carlo Barberis, President of ExpoTraining; Francesco Paolo Capone, Secretary General of the UGL; Giovanni Luciano, President of the Inail Steering and Supervisory Council; Egidio Sangue, Director of FondItalia with the moderation of Tiziano Menduto, journalist of PuntoSicuro. The conclusions will be edited by the Undersecretary of the Ministry of Labour and Social Policy, Claudio Durigon. The event aims to be an appointment for comparison and deepening of opportunities, tools and resources to support safety in the workplace. The aim is to encourage and concretely support companies in the implementation of effective interventions regarding training, risk assessment, prevention, protection and control for the health and safety of workers and employers. 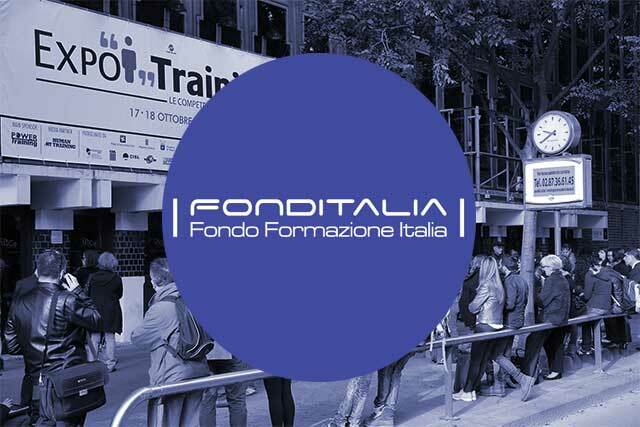 FondItalia will also be exhibiting at ExpoTraining with its own booth. Participation in the event is free of charge. However, to avoid queues at the entrance, it is preferable to be accredited to the link http://www.expotraining.it/iscriviti-online-alla-fiera.